Browse our complete selection of LUXdrive LED drivers. Our most extensive and popular line of drivers, BuckPuck wide range LED power modules are an ideal choice for powering all types of high-brightness and high-power LED modules and arrays. Unlike most LED drivers, the BoostPuck wide range LED power module is designed to power LEDs from a voltage that is lower than the forward voltage of all series connected LEDs. 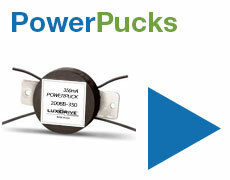 This is useful if you do not have access to a high enough voltage source. 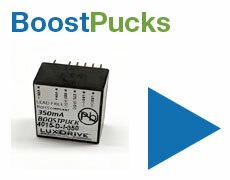 For example, a single BoostPuck driver could be used to power as many as 12 series connected LEDs from a 12VDC power source. 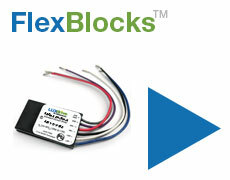 Like it's name suggests, the FlexBlock high output, wide range LED power module offers the most flexibility for powering 1 to 14 series connected LEDs up to 700mA from virtually any voltage source between 10-32VDC. 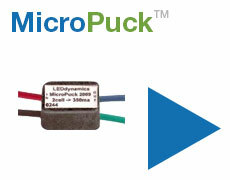 It is a fully dimmable driver that can be controlled from many commercially available 0-10V low voltage dimming controls. 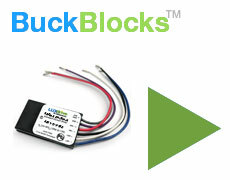 With current output options of 1000mA, 1400mA and 2100mA, the BuckBlock high output, wide range LED power module is an excellent solution for powering large numbers of series/parallel connected LEDs at high currents. 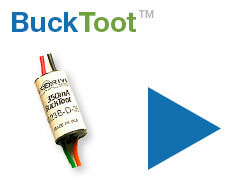 For example, you could power as many as 15 LEDs at 700mA with a single driver. The ultimate in simplicity and ruggedness, the PowerPuck wide range LED power module is a perfect fit for automotive, motorcycle and marine applications that require a simple way to power as many as 3 series connected LEDs from a 12VDC power source. The smallest driver in the LUXdrive lineup, the MicroPuck 1 watt LED power module measures just 0.45" x 0.3" x 0.26" (lwh), but still offers a lot of flexibility for powering a single LED from a variety of battery configurations. Be sure to check out the Additional Applications Note for ways that this versatile little driver can be used. 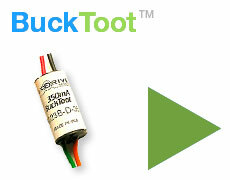 A simple driver, the BuckToot low-voltage LED power module can power 1 to 6 series connected LEDs at 350mA. Two wires in. Two wires out. No extra components needed. 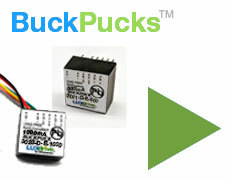 A selection of wire connecting harnesses that fit all 'E' & 'I' versions of BuckPuck and BoostPuck drivers, making it easy to use these drivers without a printed circuit board. 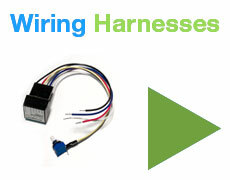 Harnesses are made with 6" long colored 24 AWG wires with optional 5k potentiometer. 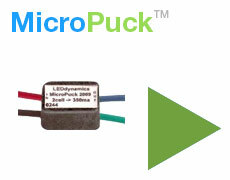 The MiniPuck constant current driver is being discontinued by the manufacturer. 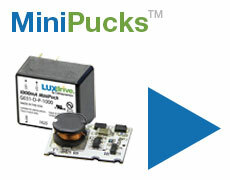 We will continue to offer this driver until we are out of stock.